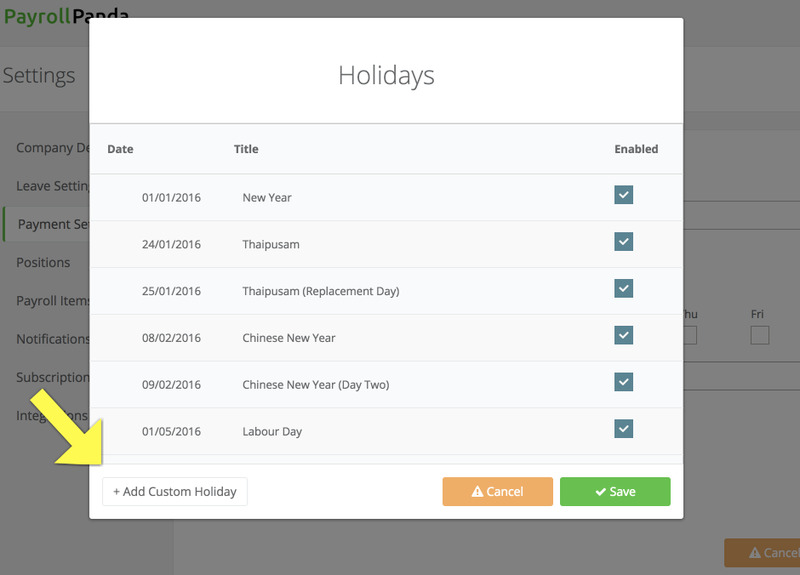 PayrollPanda — How to add or remove holidays? Help Center Home App How to add or remove holidays? How to add or remove holidays? You may manually adjust holidays by Enabling/Disabling existing ones or adding new Custom Holidays. Go to Settings > Payment settings and click on "Edit Holiday Dates". 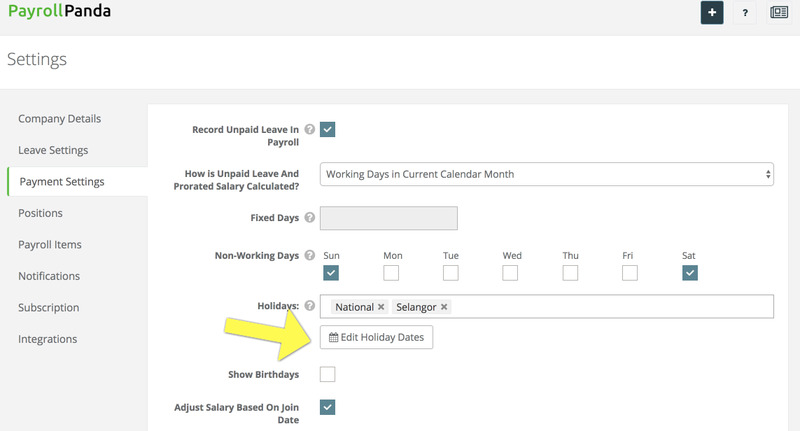 You will be able to enable or disable existing holidays via the checkbox, after which you should click save. Here you can also create your own custom holidays, by clicking "+Add Custom Holiday" at the bottom left.